Figure 1. This lake in Alaska formed when the active layer thawed. Lakes like this one provide water for plants and animals in frozen ground areas. How do plants find water in areas with seasonally frozen ground? In many places where the ground freezes and thaws each year, most water is frozen. Plants must survive the winter with little water. They push their roots deep down under the frozen topsoil to find liquid ground water. Plants that grow on seasonally frozen ground can grow quite tall. The deep layer of soil under the layer of frozen ground can support them. 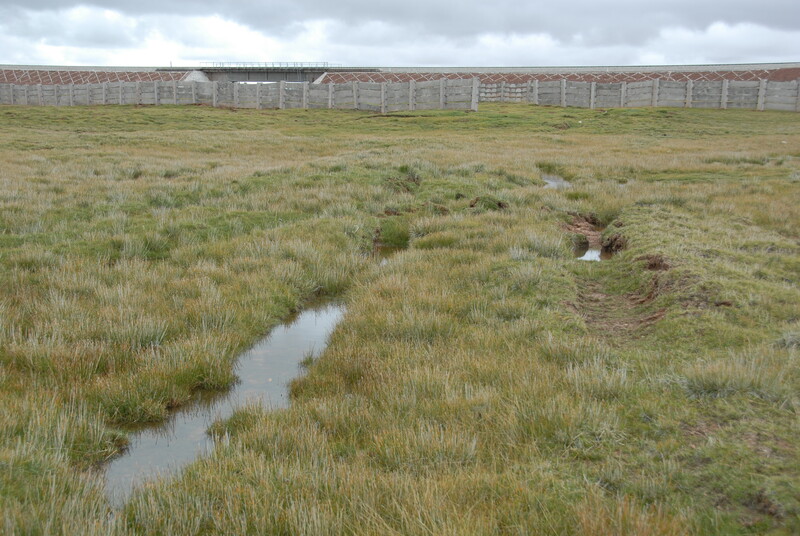 When snow melts and seasonally frozen ground thaws in the spring and summer, bogs can form. Trees thrive in the rich, moist soil. In the Arctic, huge forests cover areas of seasonally frozen ground. The forests are called boreal forests. Sometimes they are called taiga, the Russian word for swampy, moist forest. Typically, trees in the boreal forest are conifers. Conifers have small needle-like leaves that may have a waxy coating. These needle-shaped leaves help save water because they do not have much surface area. For example, compare a pine needle to an oak leaf. The oak leaf is broad, thin, and delicate, with a large surface area. It loses much more water through evaporation than a pine needle does. Conserving water is especially important in the winter because most water is frozen or hard to reach. By conserving water, conifers do not need to get as much water out of the ground. 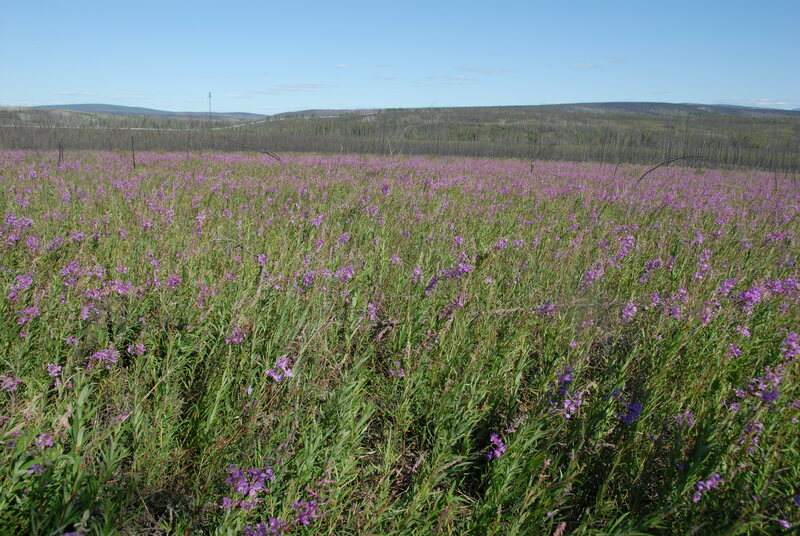 How do plants survive in areas with permafrost? When the ground is frozen for more than two years in a row, forming permafrost, it is harder for plants to survive. Permafrost areas have very cold air temperatures, thin topsoil, and most water is frozen during the winter. Some plants are better adapted to these conditions. 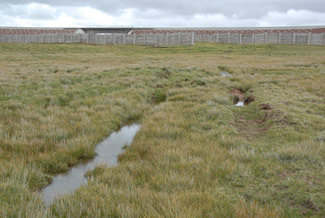 Landscapes with large stretches of permafrost are often called tundra. The word tundra is a Finnish word referring to a treeless plain. Tundra is found at high latitudes and at high altitudes, where the permafrost has a very thin active layer. The active layer of tundra is too thin for trees to grow, because it cannot support a tree's roots. Tundra is sometimes called a cold desert. Usually, people think of deserts as hot and dry. However, scientists often say that places that do not receive much water are deserts. Areas of tundra are the coldest and driest places on Earth. Strangely, even though the tundra does not get much rain or snow, it often has many wetlands and swamps during warm seasons. The reason is that the permafrost beneath it is like a barrier. Permafrost does not allow water to drain through it. In the summer, the active layer of ground thaws, and ground ice melts. The liquid water collects in the thin layer of topsoil and can pool close to the surface (Figure 1). Plants use the water and the long summer days to grow very quickly. The grasses, lichens, and shrubs that do grow on the tundra make a thick and colorful carpet (Figure 2). Not all permafrost is tundra. Boreal forests do sometimes move into areas where patches of permafrost are mixed with seasonally frozen ground. Figure 3. These tracks in the Tibetan tundra formed when a truck drove over the ground a few years ago. The gullies can get bigger and deeper over time, changing the landscape forever. How do plants and permafrost need each other? 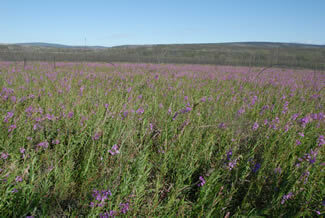 The plants of the tundra and the permafrost underneath are in balance. Plants growing on the surface absorb solar energy, protecting the permafrost and preventing it from thawing. The permafrost keeps melted water near the surface, where plants need it. However, this balance is fragile. If the plant cover is damaged, the permafrost can thaw. Thawing permafrost can make the ground collapse and disturb and deepen the active layer. This can also affect the plants and animals that have lived there for many years (Figure 3). If the permafrost is damaged, plants also suffer. Fires, floods, or unusually high temperatures can thaw frozen ground. Trees growing in boreal forests are threatened. Sometimes, their roots become so weak that trees tilt and fall over. These trees are sometimes called a drunken forest.